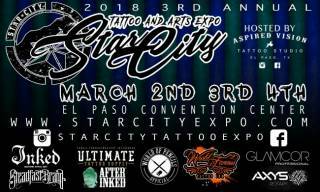 The Star City Tattoo and Arts Expo will be showcasing the professionalism and talent from many of today’s top tattoo artists from across the country! 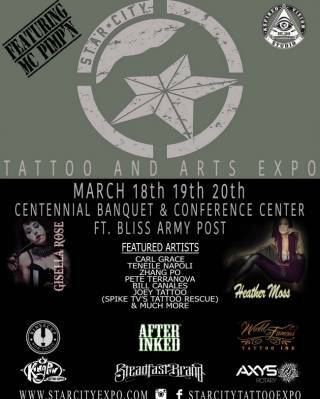 3 days of tattooing, piercing, “freak shows” and live art exhibits. Family friendly environment with games, attractions, entertainment and live music. There will be food trucks, drinks, a full pub and an assortment of different vendors. Many opportunities to win prizes with absolutely no cost to enter! Not to mention FREE weekend tickets to anyone who books an appointment with any attending artist ahead of time.